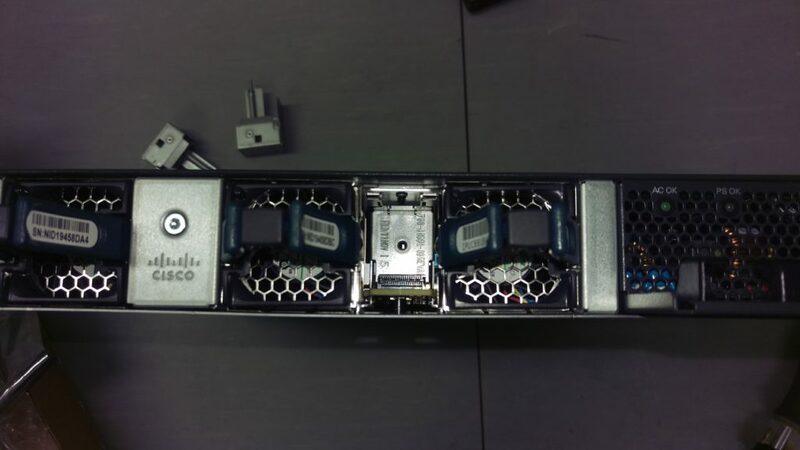 The Cisco 3650 stacking module. Not really a module. If you ever have asked yourself the question “How can I tell if my 3650 has a stacking module installed?” or “what commands shows if there is stacking module installed“. Those questions will be addressed in this post. 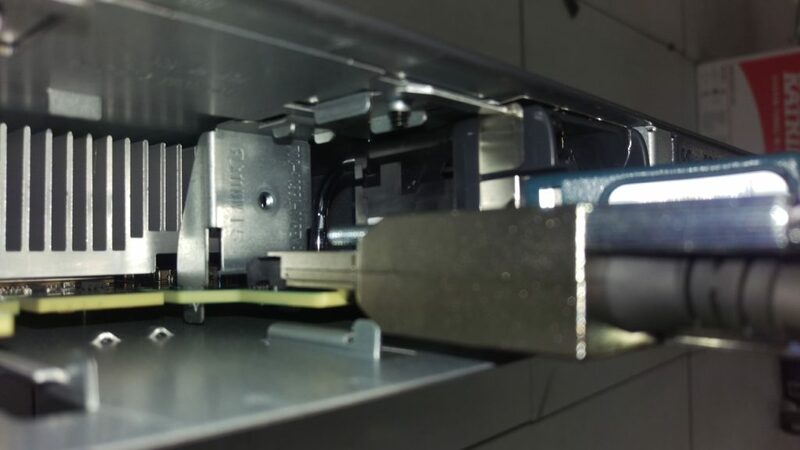 The short answer is: Unless the switch is already stacked with another switch and you can verify this with “show switch”, you must physically view the back of the switch to verify that a “stacking module” is installed. Because the C3650-STACK-KIT=, which has a list price of $1650, is nothing more than two metal casing to securely attach the stacking cable. However, if you are feeling particularly adventurous and are fond of “non-secure” solutions, you can opt for superglue and just a pair of stacking cables. Probably not recommended though. And I would imagine Cisco not being overly happy with customers circumventing their solutions. I have taken a few photos to show what is all about. 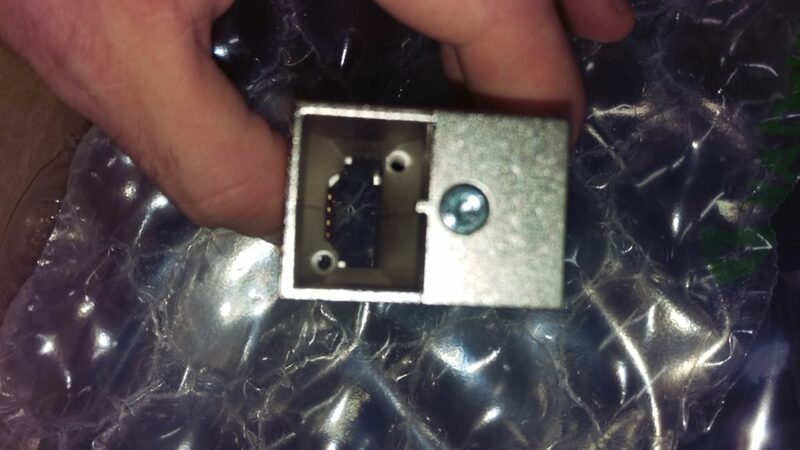 Here the blank is removed from the switch and you can see the stacking cable connector. If we remove one of the PSUs you can see the connnector even better. 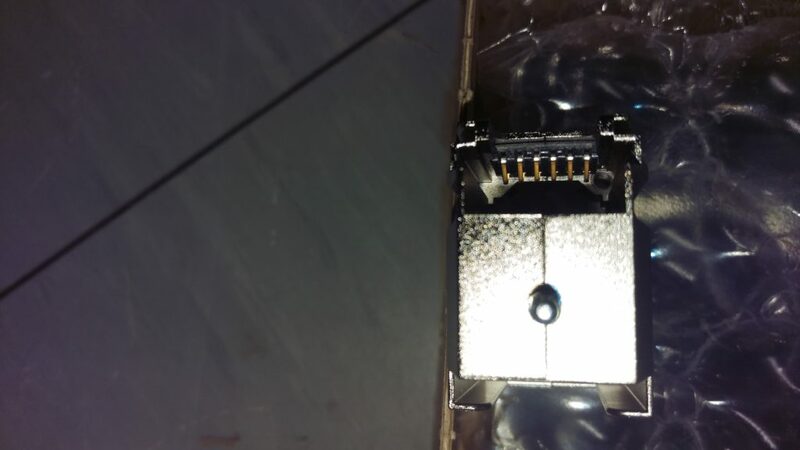 And of course, the stacking cable fits the connector. $1650 – A staggering price for two metal casings. 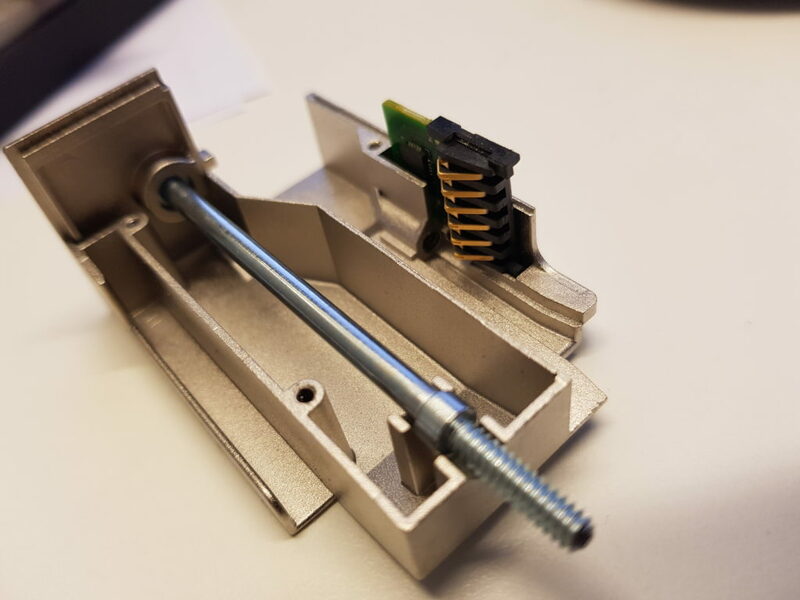 The only logical solution I can find, is that it is cheaper for Cisco to mass produce one main board with the stack module installed and utilize the metal casings as more or less “physical licensing” of the stacking functionality. 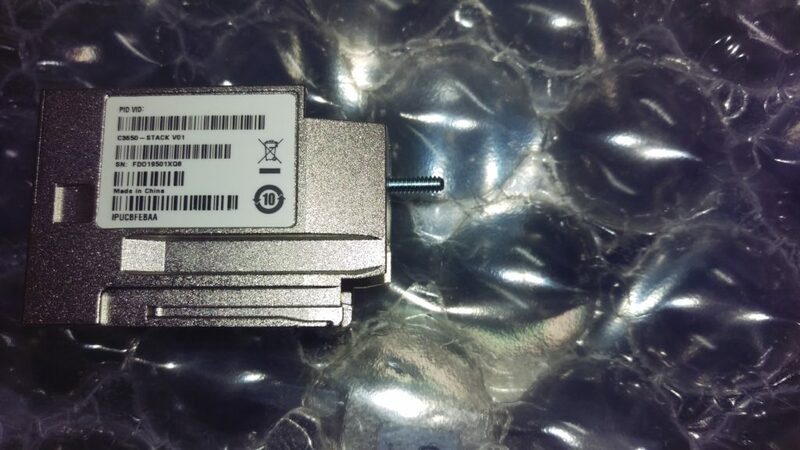 Hope this posts address some of the questions you may have had about the “stacking module” of the 3650 switch. 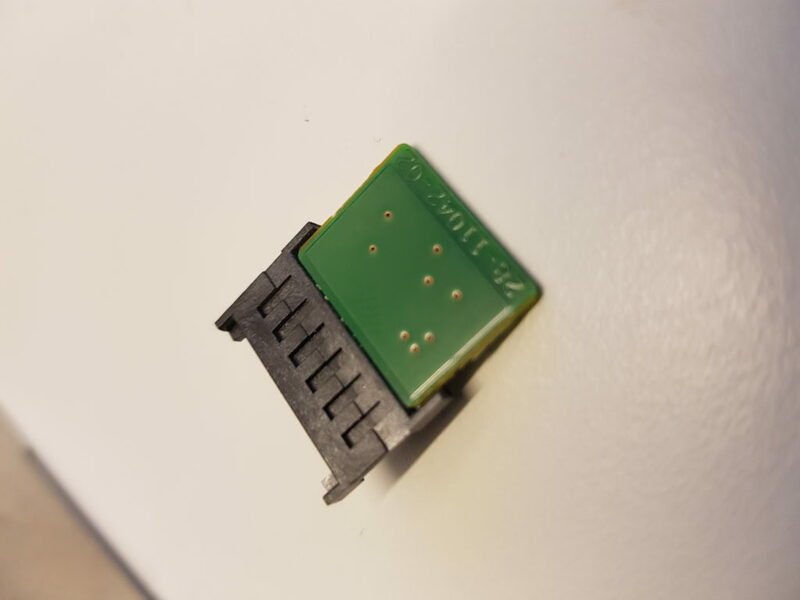 It turns out the metal casing _actually_ contains a bit of electronic as well. 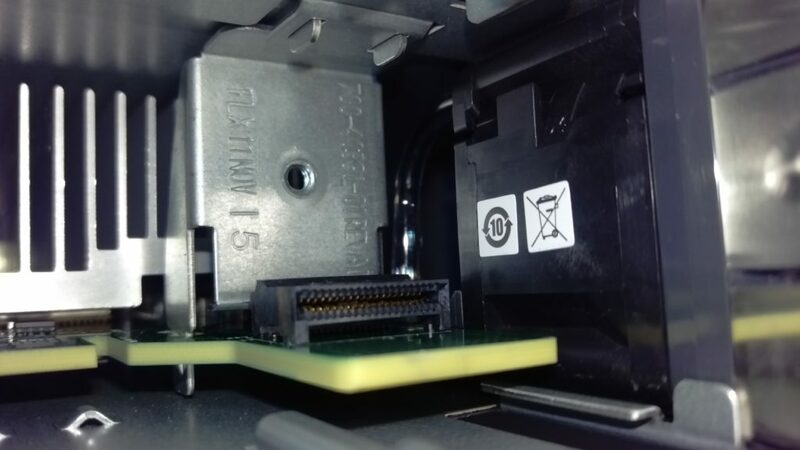 The connectors in the casing matches up with 6 pads on the systemboard of switch. 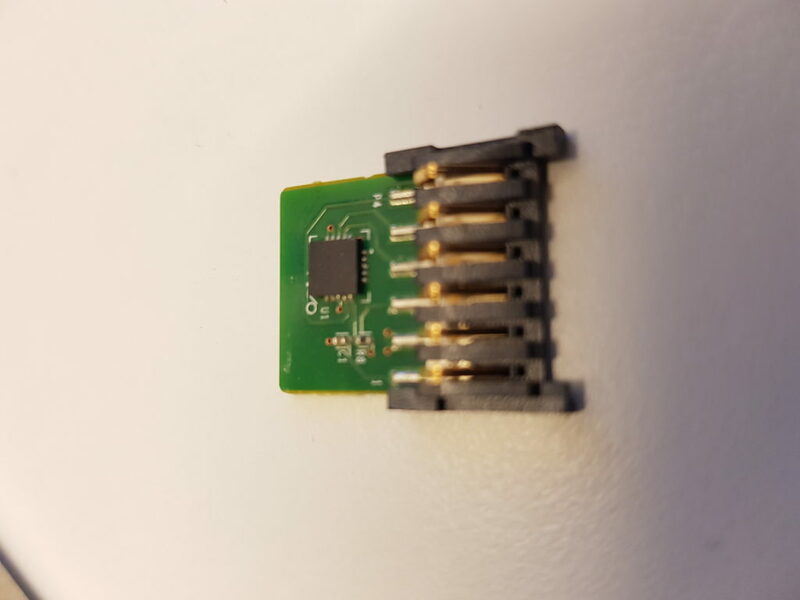 It looks to be a very simple chip with no other function than activating the stacking module. So argubly, it could be a physical licensing chip, rather than intelligence for stacking module itself. Regardless – it is more than just a piece of metal.